Music is a powerful platform to reach out to people and disseminate positive messages, says Lifeline Fiji. The charity organisation is part of the much awaited Thurston Food and Music Festival next week. Executive Director, Archana Mani said Lifeline Fiji had seen the growth of local music both in Fiji and across the Pacific. “Unique to these local Fijian artists is their ability to take real stories and make them into songs,” Ms Mani said. 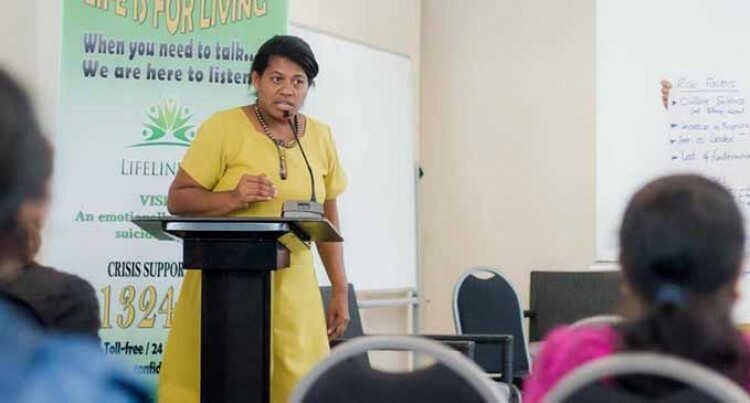 Ms Mani said Lifeline advocated for all Fijians to speak out about their experiences and struggles. “Lifeline has seen that in our culture, music and other expressive art is a means for people to deal with their pain and struggles. “Through music they are able to communicate and share their situations with others. “The event organisers have been supportive providing us a platform to share our pro- life message of “Life is for living. “As such we feel this partnership is a reflection on the use of expressive arts by our people to deal with hardships. Lifeline Fiji has trained Crisis Intervention Workers on its toll free line 24/7 to receive and respond to your calls. You can also check them out on their official Lifeline Fiji Facebook Page for more information. The Thurston Food and Music Festival will be held on July 15 (Saturday) at Thurston Garden, Suva from 9am-10pm. The organisers, Knox Entertainment, are expecting 1500 people at the festival and the first major event. Tickets are on sale at the ROC Café, Ginger Kitchen at the Fiji Museum, and Fiji Broadcasting Corporation. Admission is $20 and free for children under 12 years.